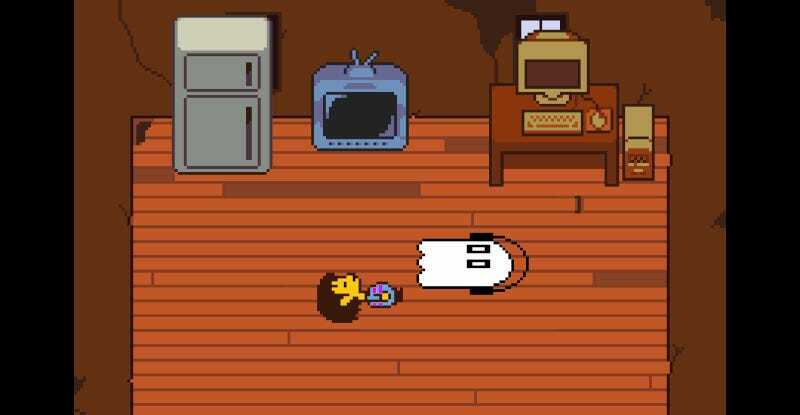 For the past week, infamously reclusive Undertale creator Toby Fox has been celebrating the RPG mega-hit’s first anniversary with tidbits and snippets (but sadly no butterscotch cinnamon pie). The best part? Music that never made it into the final game. Fox also posted a brief retrospective about Undertale’s unexpected popularity, where he said he still thinks it’s “about an 8/10, niche RPG game,” but added that it made him happy when the game legitimately moved people. Lastly, Fox held a Q&A with the game’s characters that... well, just go experience it for yourself.